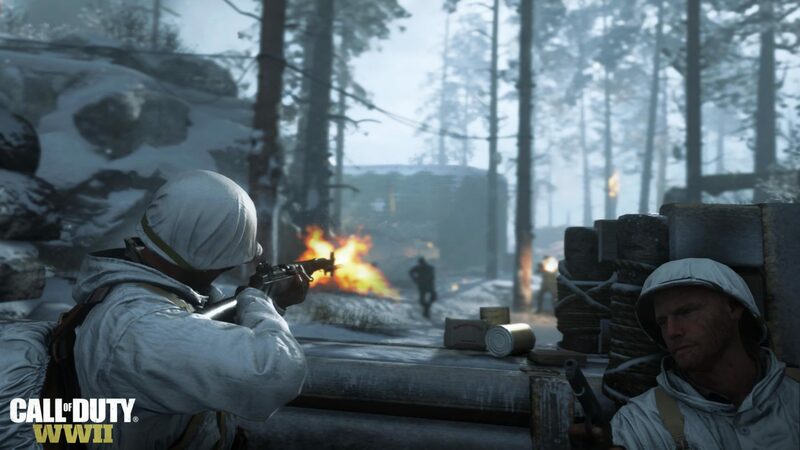 While we previously reported that a 9GB patch was deployed on the PlayStation 4 and Xbox One that made the Call of Duty: WWII single-player and Zombies mode playable (except multiplayer) for those who got early release copies, it seems Sledgehammer Games might have had a change of heart, as multiple reports have come in that the COD: WWII multiplayer servers are now online! This was “confirmed” by Twitter user KaLLex who posted a screenshot of the player loadout screen, as well as the lobby. Will this mean people will go up against Prestige players who’ve had the game for days when Call of Duty: WWII launches this Friday? Most likely yes, unless Sledgehammer Games does a stat wipe and let everyone come in fresh. Then again, these same people will undoubtedly have learned the maps, so they’ll still get an advantage or two either way. While you’re waiting for the official release of COD: WWII, don’t forget to check out the complete list of Basic Training perks players will be able to equip on day one. MP1st will have a review of COD: WWII very soon, and it will comprise of the single-player, Zombies mode, and of course, the multiplayer portion.